I learned a new Southern Culture term this year. I leave my tree up until Epiphany. You know, like the Germans do. At which a colleague of mine smiled and said, "Oh, Old Christmas." I learned Epiphany was also referred to as Old Christmas. In my mind, when I think of the word Epiphany I actually translate it from the German. I don't think Epiphany at all. I think in the words for the date. The 6th of January (der sechste Januar). The Sapir-Whorf Hypothesis says that our thought processes are influenced by the structure of the language in which we are thinking. I'm not 100% sure if this is true. I wonder if geography doesn't also play into that. I do know, I feel differently about things depending on which language my mind is using. For example when I think in English about "the dirt" the dog has brought in, I'm feeling, "OK no big deal - I'll get to it." But when I'm thinking in German about "der Dreck vom Hund" all kinds of shaming bad Hausfrau feelings come at me. How do you feel about the Twelve Days of Christmas? Because my German brain absolutely loves them! A time for family, visiting with friends and reflection. AND even better, they come after all the shopping and gifting is done. So during the past 12 days, I enjoyed creating my second 12 days collage series. This year I based it on the English Twelve Days of Christmas song, which will always remind me of the Florence Regional Arts Alliance Board of Directors and their holiday gathering. Never has it been sung by a finer group of folks. It was also a time of play for me. I sat on the floor in front of my, by now pretty crunchy Tannenbaum of a tree, and cut and pasted. Just like my 2nd grade old self used to do. And it was a glorious creative escape. Until the next day, when I could barley walk. Because apparently once you reach a certain age, sitting for hours on end on the floor - cutting and pasting, makes your body ache and incredibly sore! Nonetheless, I hope you enjoy them! Wishing you all a very Happy 2018! Happy Day Light Savings Time week, Americans! Funny how that one hour time change makes everything feel so weird during the first few days. The time change is giving me a little extra morning studio time before leaving for work. 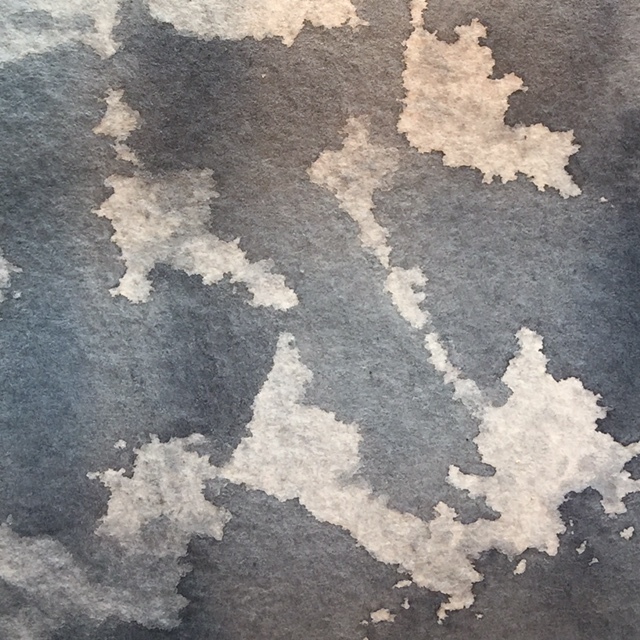 Here are a few practices in watercolor texture for Fall. 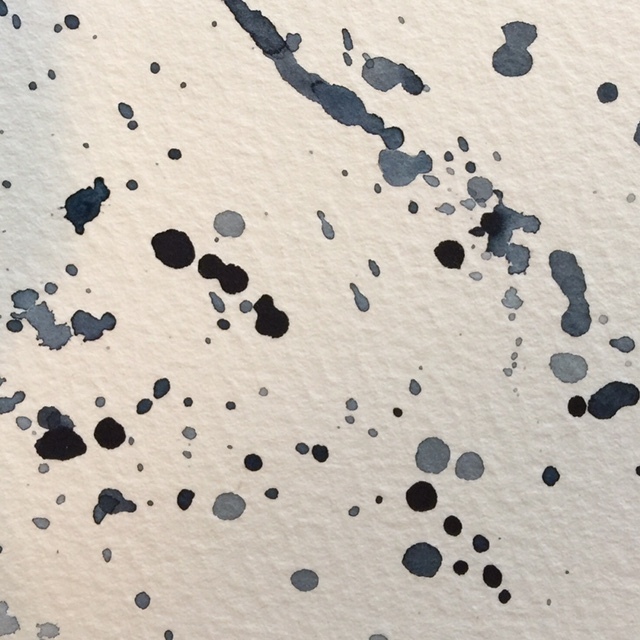 If you have watercolors, I encourage you to pull them out, pour a cup of tea and play. Wet in to wet. Color drops allowed to blend and do their own thing. Due to said time change, I find myself struggling to stay awake past 8 in the evening...and that leaves me thinking about time. The realities of the time constraints working full time have been evident. But ultimately, we all have the same amount of time in each day. It's how we choose to use it that matters. I've also recently decided I'd follow only one social media platform and let the others go. More time offline is going to be a new luxury I gift myself this holiday season. The biggest struggle for me in all of this though is my inability to stop working on a task when it's time to put something down. I simply don't like to leave things unfinished. Often ignoring the constraints that time provides for the sake of balance. Fate or the Personification of Fate. In Greek Mythology, three women plus a delicate and fragile thread. I find the German a much more poetic and descriptive version of the sentiment expressed in the following verse. In the German the verb help is used (almost as if it is gently correcting our thinking about all that we think we need to have help us. Ending with "everything lies within (or perhaps upon?) time and chance". A theologian might have to correct my loose translating. But the thought, I suppose, remains the same. And I find it is also expressed through those mythological women holding that metaphor of a fragile thread. I'm not sure if that is 100% true but these are the therapy brushes I use in watercolor. And yes, there is a straw in there too. At this point I do not own high-end expensive brushes. Most of mine are Golden Fleece from Cheap Joe's. They are affordable and they get the job done. What Kinds of Brushes Do I Need? I first began investing in higher quality paper, then paint and hopefully one day, I'll add fancy brushes to that list. 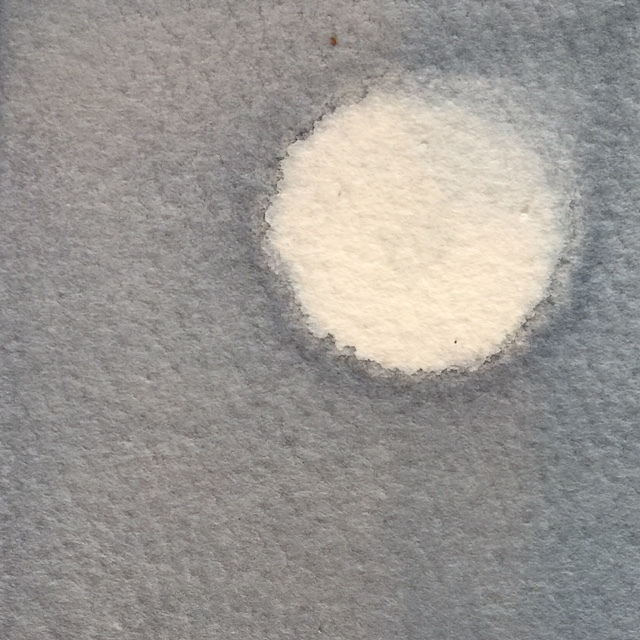 If you are starting out in watercolor, I recommend a small, medium and large round. A one inch flat brush and a bigger or a mop brush for wetting large areas of paper. I also have a few scrubber brushes. Sometimes you can use these scrubber brushes to lift color or pull out mistakes, but very carefully or they will tear the paper. In regards to detailed work, you don't necessarily need a teeny tiny brush. The round brushes make a sharp point that work nicely for details. These brushes, a sponge, salt and bleach can create some magic. Here are a 20 strokes and effects achievable through watercolor. I intentionally used a monochromatic palette so that the transparency of the watercolor is evident. Let the water, the drying process and patience do most of the work for you. Each layer should dry before adding another. Watercolor is a good friend. She is quiet and listens well. Because she demands patience and a gentle touch, she tends to quiet the soul. And she doesn't require much. She is quite happy with a glass of water and a little air. Add a sprinkle of salt and watch magic happen. Some don't understand her. But they just haven't gotten to know her. All personification aside, (and hopefully you haven't hit unsubscribe because of it) - I am currently teaching a small watercolor intensive to a few friends. While I've taught afterschool art to children, I have never taught watercolor to adults. At one point in college my major was art education, but I realized very quickly that it takes a special kind of bird to teach art. I tend to loose my words while I am painting, so to do a demonstration and explain what I am doing at the same time is really hard for me. It's as if adding the process of painting into this bilingual brain, jumbles all my words and sends them on vacation. And then some things in the creative process are simply hard for me to explain. However, I am enjoying finding those words so that I can share something I love so much with others. On Paper. The kind you get matters. It's like a PB&J versus steak dinner kinda difference. Full sheets typically require stretching, unless the paper is a heavy weight. Stretching is basically, wetting the paper completely, securing it to a surface and then letting it dry. Watercolor paper typically comes in the following weights. 90lb, 140lb and 300lb. 90lb is student grade. 140lb is probably the most popular due to quality and price. 300lb is thicker and does not require stretching. It's almost like cardboard. I typically paint on 140lb. What does weight mean? A manufacturer will weigh a ream of 500 sheets of paper in its uncut state and gives it a number to indicate the paper’s weight. Weight indicates the quality (and usually the price) of the paper. 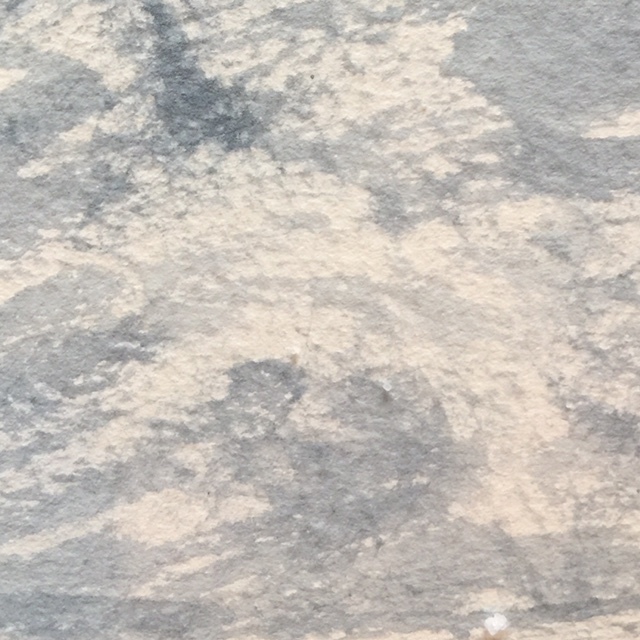 Texture describes the surface finish on paper. Texture can help define the character of the painting. Hot press: smooth and slick surface. It doesn’t allow for as soft of color transitions. Good choice for detailed and illustrative work. Cold press: What I most use. Water absorbs well and allows for many techniques. Rough: Bumpier surface than cold press. 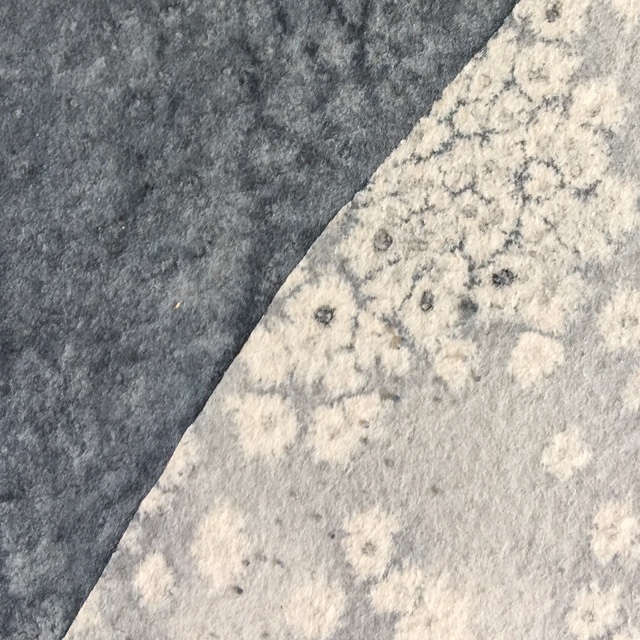 Good choice for textural surfaces like rocks and such. 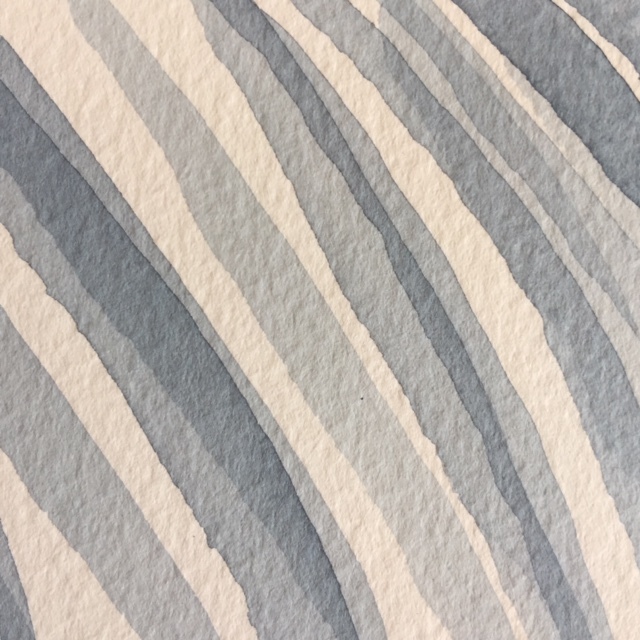 A watercolor block is a stack of watercolor paper that is attached together. The sheets of the paper are trimmed to size and then stacked upon each other. That stack of art paper is then attached to a backing board with a padding glue. This glue is applied to all four sides of the paper. These don’t require stretching. You will find an opening at the top of the gummed pages. Peel your completed paper off the stack when you are done. This is a fairly new and interesting surface to work on. It allows for the lifting of watercolor and for much more room of error than paper. However, it does not absorb the water and pigment in the same way as paper does. Ampersand makes these. Arches Paper has been around since 1492. It is high quality and has an interesting history. 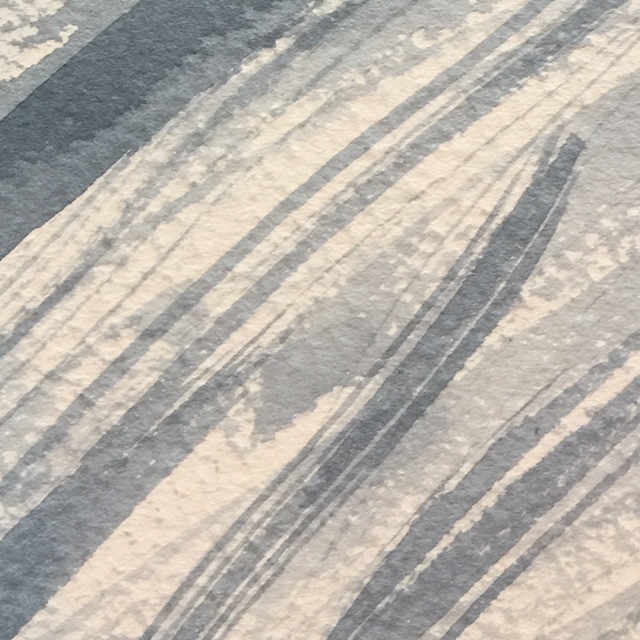 Fabriano is also high quality and lovely paper. Kilimanjaro paper is another brand with nice quality. You can find it online at places like Cheap Joes. I now LOVE Daniel Smith watercolor paints! But many other manufacturers make high quality lovely paints. Winsor Newton offers high quality paints and also a few tutorial videos on their sight. Quality will matter, but I do not recommend that a beginner break the bank on paints. Colors. 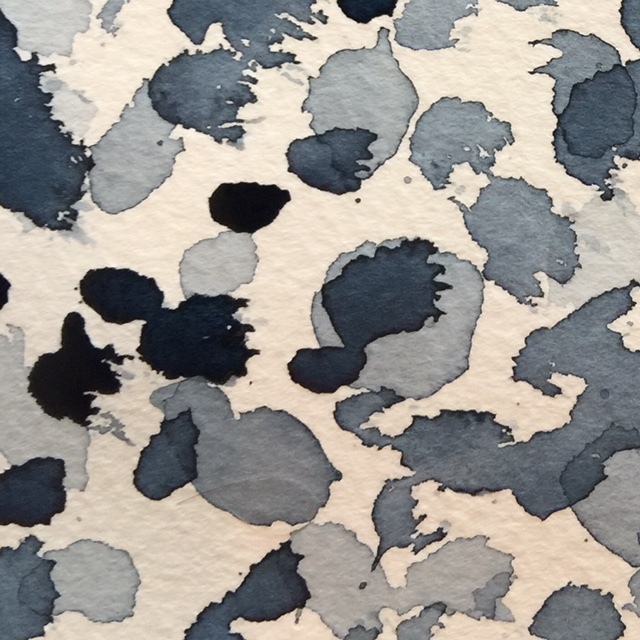 You will want a blue, red, yellow, green, probably Raw Sienna and Payne's Grey. But honestly, there are SO many colors to choose from! I prefer to let students experiment with various colors to find those that resonate most with them. My most favorite color is Payne's Grey. Greens can be tricky. I like Sap Green best. A Hansa or Cadmium yellow is good. 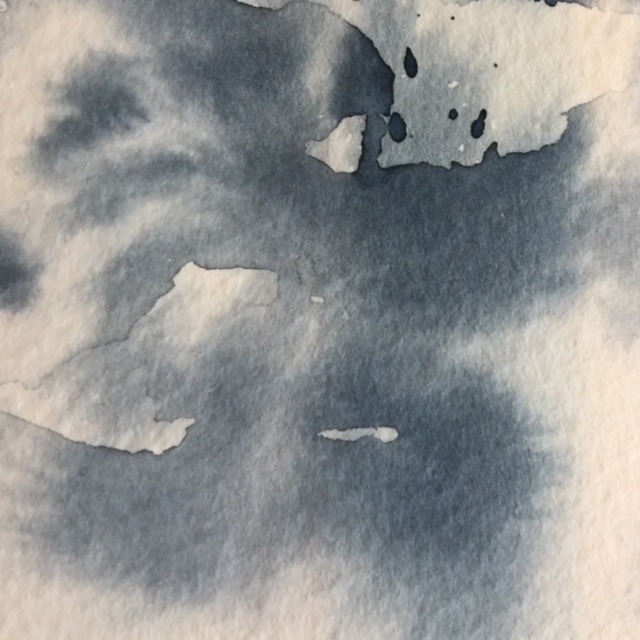 As far as blues, I like a Winsor Blue with Red Shade and a French Ultramarine. And Daniel Smith Pyrol Orange is a new favorite color. If you are new to watercolor you will want a palette with a cover if you use tube paints. You simply cover what you haven't painted with and reuse. reuse. reuse. reuse. These paints really go a very long way. 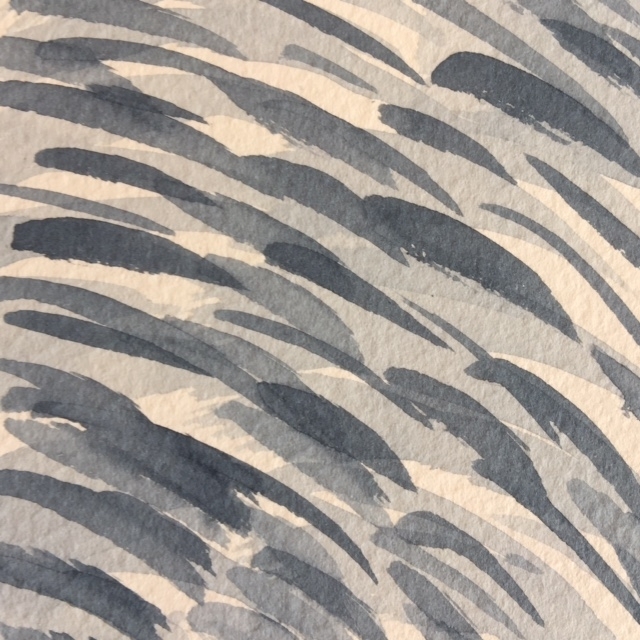 If you'd like to know more, here is a great blog entry about watercolor paints, pigments and why the good stuff costs more. Masking fluid, brushes (round and flat), paint pallet, sponge, salt, saran wrap, gauze, gator board, staple gun, painter’s tape, pencil, eraser, tracing paper, paper towels. More about them later. Giving credit, where credit is due. My watercolor knowledge came later in life for me. From the kind and thorough instruction of Tom Herzog. In college, I thought I was too cool for watercolor and only hung out with Oil, Acrylic and Screenprint. I now know who the real cool kids are. I am forever grateful for the opportunity to learn about the medium of watercolor. It was teaching in the classroom that taught me the importance of observation. It's there that I learned how much the posture and mannerisms of a child can tell you about their confidence, their false sense of confidence, and how hard it can be to simply be a kid these days...especially in middle school. Since then, I've learned to spot some of these insecurities in adults now a bit too. It's masked in different ways, but some of those things from back then are still there in our older versions of ourselves. And that's why I love watching these little birds so much. I find, they can mimic human behavior in such funny ways. Because you see, at the end of last school year, I received a few phone calls and emails asking me if I would please consider returning to the classroom due to a vacancy that had arisen. Pause. My self imposed mini-retirement, my stay-at-home college mom life, being wife to LLC freelance design life has been delightful! I have had quiet and glorious amounts of time to assess my values and priorities. I've made swimming a habit, my house is in the kind of order only a German Hausfrau can achieve, I've been painting some interior spaces, visiting family and friends, painting and just this week began a little watercolor instruction class for adult art students. In my interview the phrase, "Once a Teacher, Always a Teacher" was mentioned. And I thought huh, wonder if that's true? Because I have been doing German grammar exercises for fun during the past few months. Weird I know, but true... And when I was a child, my sisters and I always played school and guess who was always the teacher? And I happen to love teaching middle school. They are my favorite kind of kid. And if I am going to voice an opinion about the state of education, what am I doing to help it? Because angry words are often so very many - but action is limited. Oh, and not to mention, I do love an old-fashioned gradebook. And I can spend 4 hours over coffee discussing German teaching strategies with Lucia Huang, master jedi of all German teachers. I also knew that when I went back to work, I wanted whatever I did to match the academic calendar Charles's work follows. We had our children very early, so we knew then, that many of the adventures we wanted to take would need to wait until our children were older. And well, that time is here and a priority. Because of the things society tends to value, it may seem a little backward to some going from the title of executive director to that of teacher again despite a few other opportunities. But I've given much thought to what matters to me as a person most and where my strengths lie. So the decision to go back "into the trenches of public school", if you will, feels right for this season. So all that to say, I have spent the past few weeks preparing to return to the classroom!!! But I have also been pursuing accountability so that I will continue to paint consistently and meaningfully. And if you happen to still be reading...I do want to point out that I do not view teaching as a calling. It is a job and quite frankly hard work. Please stop telling teachers they have such a high calling and using that type of language. It makes the fact that they work so hard, for very little pay, seem well, kosher. Instead, perhaps let them know how much you appreciate what they are doing. Support and advocate for them! Work to raise the pay for teachers in South Carolina and you will see professionals and educated individuals who have solid knowledge of the content enter the field and stop leaving. ( I would not be considering this line of work in this state, if I did not currently have the luxury and privilege of financial stability my husband provides our family.) Please work to improve the physical and structural state of the schools within this region of the state. I am horrified that the images of my high school's pre-demo state, show it in a better shape than many regional schools. And I know you all know that the work in these trenches is great. I'm not trying to point fingers or anything like that...Let's simply make it better, by elevating the profession of educator to what it should be. End of soap box. So all this to say, I am honored to be pulling out my teacher hat again, to return to work within a district and a program with others that value a globally minded education for all. Towards the end of May, I packed my watercolors, camera, a wonderful book and traveled to Hickory Knob State Park in South Carolina. The South Carolina State Park system has an artist in residency program. This year I had the privilege of participating and it was delightful. It came at the perfect time of the year. A time before summer schedules and projects begin. And a time when rest and respite is most welcome. Our family world still revolves very much around an academic calendar. And the end of a semester is when we tend to catch our breaths. Our oldest had completed his first year of college and the youngest was completing his junior year. How did they get so old? So fast? I was in the midst of some decision making. And well, Charles. He was simply t-i-r-e-d. So this get-a-way to unplug, observe, learn, create and be inspired was soul filling. We walked the trails during the mornings. And I took SO many pictures! Some of you may know I took an introductory class in botanical illustration in January. Paired with this book, I was reading at the time, I was on a nature and plant observation high! Many of our walks were not so quiet as they were laced with "informative mini lectures" based on the most recent chapter I finished. During our stay we had a few memorable bird experiences. The pileated woodpeckers were active. One actually hit the window of our cabin, only stunning him for a moment. Long enough for me to capture a few images, though. But perhaps most striking was the morning we came upon the hawk, which I chose to paint for the park. We were so close to him and he didn't seem to mind at all. It was as if he was posing in this most majestic and photogenic manner. And the air was so still, quiet and serene. Hickory Knob State Park, thank you for the oppurtunity.